Yesterday I spent the afternoon at the University of Strathclyde Technology & Innovation Centre on George Street with Rachel Clark. As part of her role in Research & Knowledge Exchange Services, Rachel runs the very successful week long Knowledge Exchange event called ‘Engage with Strathclyde’ and very kindly arranged a series of meeting for me to discuss their event arrangements and organization as we prepare for Research Week 2018. With a slightly different focus to our Research Week in April 2017, Engage is more external facing, inviting industry, public sector, third sector and other stakeholders to join academics at a series of events (last year Rachel & Yvonne had a program of 55 events across the four days!) to learn about the research taking place at Strathclyde, engage on particular topics in order to encourage new partnerships, demonstrate how partners can work with Strathclyde or take existing partnerships that step further. It was a really interesting afternoon of discussions and great to hear that on year one, back in 2012, Rachel & Yvonne felt the same nervous energy during their first day, the sheer exhaustion after day two and a state of delirium after the whole event not knowing if they had dreamt its success or if it was reality as Rachel & I did. Another part of Engage is the Images of Research exhibition and I was fortunate enough to attend the awards ceremony at the Drygate, the site of the Tennants Brewery. The competition is open to all stages of researcher at Strathclyde from pre-doctoral right up to experienced Professor. 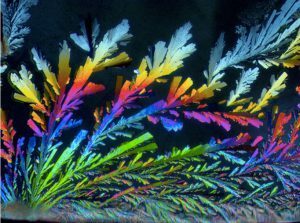 Applicants submit some text and an image representing their research with images spanning from researchers in the field to artistic or symbolic representations of their research (to get an idea have a look at this year’s entrants). The applications are then shortlisted, with each image going on exhibition at Engage. This year there were 7 categories, for which there is a category winner judged by the Images judging panel. The category winners are put to the public vote and unveiled at the awards ceremony. 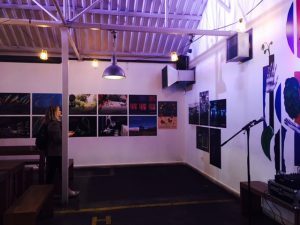 The 41 Images of Research were on display in the Drygate events hall, each image giving off a powerful message that would struggle not to connect it’s viewer. Again, like my visit to the Hunterian on Saturday the images presented an accessible way to engage and interact with the research. Images of Research ExhibitionAs I travelled through the exhibition, I began to identify research at Strathclyde that made me think of our researchers at Stirling & the potential such exhibition provides for collaboration. After some very nice catering & using my Drygate drink token that I received on arrival it was time for Professor Tim Bedford (Strathclyde’s Associate Professor for Research & Knowledge Exchange) to say few words of thanks and and announce the winners…. Petya Eckler with ‘Social media and you’ in second place & ‘More than just a garden’ by Tracy Morse in third place.